Fine tune your job search by learning how to apply for jobs online? In today’s generation finding and apply for jobs online has become very easy, since online job portals started establishing. It’s quite easy to apply for jobs online with very simple steps as there is a number of websites, which is offering the jobs that you may want to apply for. Some of these web portals are online classified ads, online job websites, or the companies that are hiring. One of the best ways to apply for jobs online is to sign up with certain online job portals. These websites contain databases that store a huge number of job openings from different companies. As many companies were signing up with these online job websites to get potential employees, it is, therefore, a great way to get a job easily. When you access these types of websites, you will need to sign up with them and build your own profile. The purpose of building your profile is to match it with job openings from companies so that they can notify you about it. Choosing an online job portal is very important for getting the job that you want. Hence, research is very important. 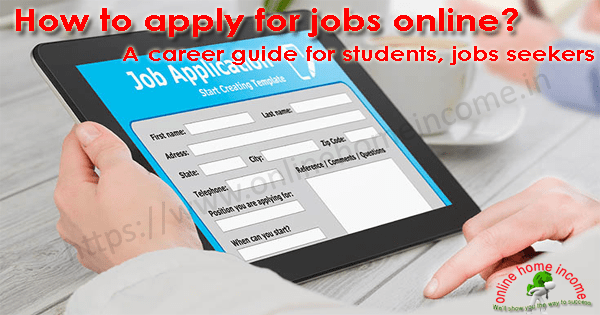 In this article, we will be describing How to apply for jobs online? Requirements to Apply for Jobs Online? One of the first steps you need to take to apply for jobs online is to find a job that suits your skills and qualification. Also, give priority to your interests and choose your jobs accordingly. For instance, if you have a teaching degree, you can apply online to schools, colleges, teaching institutes etc. You can search jobs based on the locations you prefer. Once you have listed your skills and have selected the jobs, time to prepare a resume. One of the best way to apply for a job online is to submit your resume to as many job portal websites as possible. Make sure that your resume appears as professional as possible. If this is your first resume, you can look at various templates available on the Internet. Remember that your resume is the one that can make or break your chances of getting the job. So give accurate information in your resume. It is really important that your employers be aware of the skills and qualifications you possess. Also, they know what you can do for their company as an employee. Highlight the achievements and job experience on your resume to get attention to your resume as well as submit only relevant details to the position. Always start your resume with an attention-grabbing word and use an active voice in writing your resume. Remember that your ultimate goal is to get the employer to choose you at the expense of other candidates. You may have to prove yourself when you attend an interview. The resume is essential for getting a chance for an interview. The job portals are one point stop for both job seekers and the companies. These job sites also provide free resume creating tools such as resume builder. These websites have a database of hundreds of employers and job seekers at one place. All you have to do is sign up and create your profile on their website with information such as name, address, email id and contact number. After this, you can search their database for job openings. This saves your time and pain of mailing resumes to companies. You have to choose the best online job portals that are really worth applying for. Below we have listed a few online job portal for your reference and a guide on how to apply for jobs online. We have given few signup processes of leading job portals. Finding jobs online is a common thing in today’s era. It helps the job seekers save time, stamps, envelopes, and at last money etc. Searching for jobs and apply online can save a lot of stress. Also, it helps to narrow down the areas to search in. Below are the top websites where you can apply for jobs online. Naukri.com was founded in 1997 and it is one of the top online job portals in India. Their website has a database of nearly 50 million job seekers, which is growing day by day. It is one of the trusted portals for both job seekers and companies. Also, Naukri gives an end to end recruitment services. It allows job seekers to post their resumes for free and takes a subscription fee from recruiters to post their job offers. To register, first, log on to its Official Website and enter your Email-id and Password and then click on “Register Now”. You will get a verification email in your mail id, click the link to activate it. Now enter your details like your Contact details, Current Employment Details, Educational details etc. Upload your Resume and click on “Join naukri.com” button. Now, fill up your profile. Enter your Graduation Details to complete your registration. Now enter the job you are looking for based on your skills and personal details. You need to select the country where you are authorized to work like in India or in the USA. Select the languages known and click on “Complete my Profile”. Mention about your work profile, your expected salary, locations preferred etc and click on “Create My Job Alert”. Now your Profile has been created Successfully on naukri.com. Monster India is an international job portal, begun in India in 2001, and quickly gained popularity. They also offer an app on both iOS and Android to make the job search easier. It has a cutting-edge technology that provides relevant profiles to employers and employees all over the world. It also helps IAF to recruit candidates for India Air Force and Army. Go to the Monster website and sign up with email id and verify your mail id. You can also signup using the Facebook account. Now, enter your information. Upload your well-structured resume and make your resume searchable to allow employers to view. You can evaluate your resume with experts. Enter the job title and choose work authorization. Fill out your profile completely and upload a picture of yours. TimesJobs.com is an Indian website for job portal functioning in India and the Middle East. It is known for its user-friendly flow and convenience. It allows candidates to post multiple resumes, specific to the company they are applying to. Internal references get your chance of getting hired by the company. Good choice for startups. It is the world’s Number 1 job portal and has made an impression in India as well. It has 200 million unique visitors every month. Founded in 2008, Shine.com is the 2nd largest job portal in India. It has a user-friendly mobile app and it can integrate the social media networks of the candidates. Employers can easily fetch the job seekers by seeing their profile. Placement India is one of the top placement consultants and is the best choice for job seekers and companies. Their website has all the options required to boost the user’s profile. Good response from companies. They have job listings in the variety of fields such as IT, Hospitality, Education etc. Jooble is one of the most innovative job sites, which can give you listings from over 300 job portals across India in a single query. It is the best search engine with advanced inbuilt tool integrated with it. Jooble has a huge database. FreshersWorld.com is No. 1 Job site for fresh graduates with a database of 1.5+ Crore resumes. It offers job offers to people who have freshly graduated from college, and have no previous work experience. Their client is companies such as Facebook, Amazon, Toshiba, Motorola HDFC and many more. This is one of the most innovative platforms that help fresher in all aspects. Click.in began as online classifieds, but later on became a popular platform for job listings. This website offers jobs in various fields ranging from government jobs to IT jobs and Marketing. You can search based on the type of job you need. LinkedIn is the world’s largest professional network and social network for both employers and candidates. It was launched on May 5, 2003, and they get its revenue from membership subscriptions, advertising, and recruitment solutions. No job portal list would be complete without LinkedIn and also it was one of the most popular social networks for working professionals. LinkedIn helps job seekers find relevant jobs and get in touch with others in different industries. It is known as the largest talent pool and is recommended for all job seekers to have an account on LinkedIn. This will help you to boost up your career opportunity. It is one of the fastest growing job searchings and recruiting sites. Glassdoor is a unique site people sign up and gives the review on the company they are working for or worked for. It is a very great site for new joiners to know about the company well. Based on the company review, they can choose the company. For the jobs, it allows you to update your resume and select your job preference. It helps clients to promote their brand to candidates and advertise their jobs to candidates who are looking for job offers. JobSarkari blog post the available openings for various government positions to apply. Given that not everyone can move to the big cities in pursuit of a corporate job, the best career option for the remaining lot is government jobs. JobSarkari is one of the most well-known job portals for government jobs in India. It is known for its immediate updates on the site every time there is a new opening in the Indian Railways or banks. With each job posting, they also mention the skill set and the pre-requisites of education and physical condition that is required. Upwork is one of the best job portals for freelancers in India. This is a US based job portal and has gained its popularity across the world. The payment for these jobs is as per international standards and it enables Clients and Freelancers to connect and have a formal business relationship with one another. Upwork helps to create trust between clients and workers as well as they cover jobs from all major sectors. It makes fast, simple, cost-effective to hire professionals and giving work to them. Freelancer.com is another job portal for freelancers, as the name suggests. Several employers post jobs and the candidates having relevant skills can take the job. It is just like outsourcing job to many job seekers. Founded in 2009, Freelancer.com is now one of the biggest platforms to connect with freelancers with varied skilled professionals across the world. Jobrapido.com is one of the world’s leading Job search engines with over 40 million unique users per month. They are serving 58 countries, with matching the right candidate to the right employer. It uses a unique intelligent tool for matching and ranking purpose. As the name suggests, Freejobalert.com is free for users. It reports all the latest job openings, employment news for candidates looking for a job for both government and private sectors. It also provides study reference material, video lessons for learning purpose. All the above are updated to you through emails and Facebook alerts. Founded in 1998, jobsDB.com has set its operations across Asia and many other countries. It has sales & marketing and customer service teams to provide support. It provides recruitment platform for employers and the fastest job search engine for job searchers. With its cutting-edge technology, it has gained a high reputation amongst the various industry. It has set a huge database in the Asia Pacific. FreshersLive.com helps you to apply for the job openings both in the private and government sectors in India. If you are a beginner, it helps you to create a resume and prepare for the interviews for both govt and private. You can integrate your social network. It is an advertising platform. Quikr.com has got its popularity for being the best job portals in India. They have 20+ categories of jobs and offers both full-time and part-time opportunities. It helps candidates search job easily and conveniently. It’s a blog where government jobs are posted at frequent intervals. It offers a link to direct application and resume for the particular job. It provides Indian Govt Public Sectors and Banking Recruitment Notifications as well. Apply directly on company websites? Suppose you have got a friend’s referral to a company and you have contact information of HR manager. How will you contact them for applying for a job? There are lots of company, who are directly conducting interviews for recruiting. You need to research on the internet for companies which are hiring. Either they have a link to apply for a job online, or they conduct a walk-in interview. You may need to mail them your details in the mail or send a cover letter to their address. Give a personal introduction and a reference (mention the name and position). This is to intimate them, that you have a referral from the same company, hence, you will be given priority. Give a clear email that shows your experience and prove that you are fit for the position. Create an impression to them to make them realize that you are the best fit. Keep the email as short as possible as your ultimate aim is to impress the HR through this email. Attach your resume as this is very essential to apply for jobs. Do not forget to mention your contact information in the email. This will help the recruiter to contact you easily. Review the mail twice and thrice before sending. Once you have sent the email, wait for a day or two and if you do not hear from them, do follow-ups to know the status. You have their email and their phone number, so utilize it. You should not call or send follow up email very soon. Wait for at least two-three days before making a call to them and mail back. Ask them humbly about the status. If you are able to call them via phone, make sure you keep the conversation simple and short. Don’t keep them too long from their busy day. Sometimes even after sending emails and frequent follow-ups, HR does not get back to you. It’s a very frustrating situation. This is the place, where many people simply give up in following up. If you have any referrals inside the company, get in touch with that person and get through him. Or if you do not have a referral, try to create a contact in that company. A direct approach to a company reduces your competition and you have more chances to showcase your talents. So try contacting many companies directly to boost up your chance of getting selected. Hereby I conclude this article by covering up, why people go to apply for jobs online. Searching, finding and applying for jobs online are free of cost. 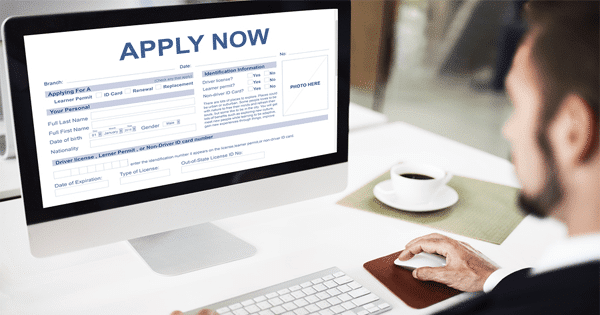 Online application to job obviously saves your time efficiently. Applying for jobs advertised in newspapers and magazines is time-consuming and could frustrate the job searchers. You can apply for a job at any time as per your convenience. You just need to apply before the deadline date provided by the employers. Usually, all job portals keep the candidates updated through calls or emails. Job searchers do not miss an opportunity to apply for the jobs they are seeking for. Job portals can deliver your resume to 100 companies in just a few clicks. As a human, it is not possible to approach 100 companies at the same time. So begin your job search in a faster pace and make full use of the available online job searching tools to your benefit.